To see these pictures better click on them to enlarge them. We have had a wonderfully successful family trip to Katavi Game Park - huge distances on terrible dirt roads, and the car suffered somewhat (as did we!) - but worth it all. The park is big, yet very remote with few visitors. We stayed in basic huts and cooked vegetable stews for ourselves on an old gas cooker. The days were spent driving or walking in the park, and we soon learnt where to see the best game. There were lots of elephants and huge numbers of hippos and crocodiles in the pools and rivers. 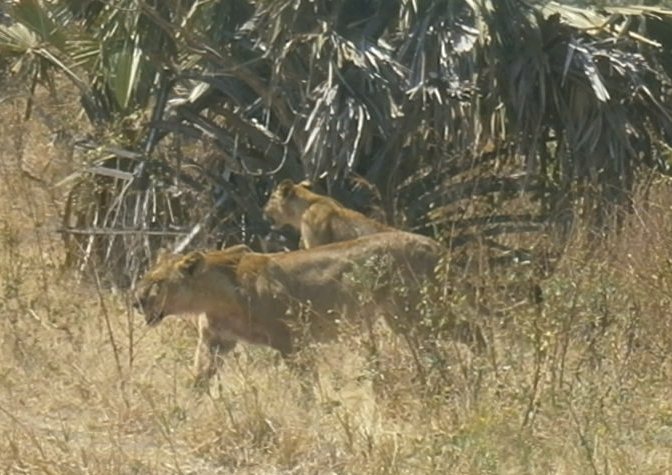 A highlight on our last day was to see a lioness and two cubs by the river. We followed them (in the car!) as they went back to where the male was sitting under a tree. Together they devoured their recent kill. They were still eating when we came back an hour later! So - who's coming to visit first?! My thoughts and prayers today are with the church community at St Baranabas, when Janet Faull is being licensed as the new vicar.